design and function ideas still survive. Captain Mayo Develops a New Kind of LifeboatCaptain Robert Mayo and his sons William and Robert dreamed of a new kind of lifeboat that would help Great Lakes mariners, their crews, and passengers survive the swift and deadly shipwrecks that happened regularly on the Great Lakes in the 19th century. Captain Mayo experimented for years to develop a lifeboat that would raise the survival odds for people cast into Great Lakes waters. The final version of his boat won a gold medal at the Panama Exposition of 1901. A Cone Rounded at Both Ends and a Shell of SteelThe final version of Captain Mayo’s boat was a cigar shaped boat rounded at both ends. 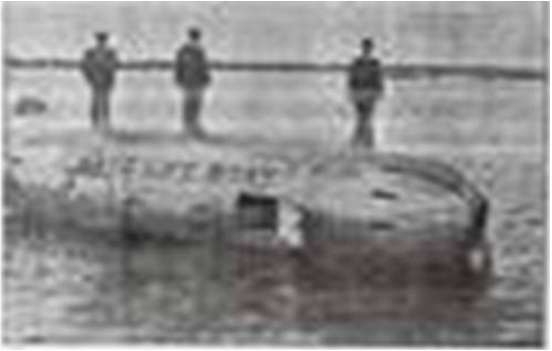 The shell of the 20 foot boat was seven feet in diameter and perfectly round and there was no projecting fins or keel to keep the boat in any position in the water. The boat was made up of two shells. The outer shell was of sheet steel and revolved around the inner shell which was weighted so that the passengers were always on an even keel. Seats for 50 People and Lockers for Food and WaterThe only unprotected openings in the boat were at each end of the cone. The forward end was a manhole large enough to move about in easily, and at the aft of the cone was a smaller opening designed for the lowering of an anchor. Swinging Seats and Water VentsThe seats were arranged on pivots, which allowed them to swing completely around, regardless of the boat’s position. 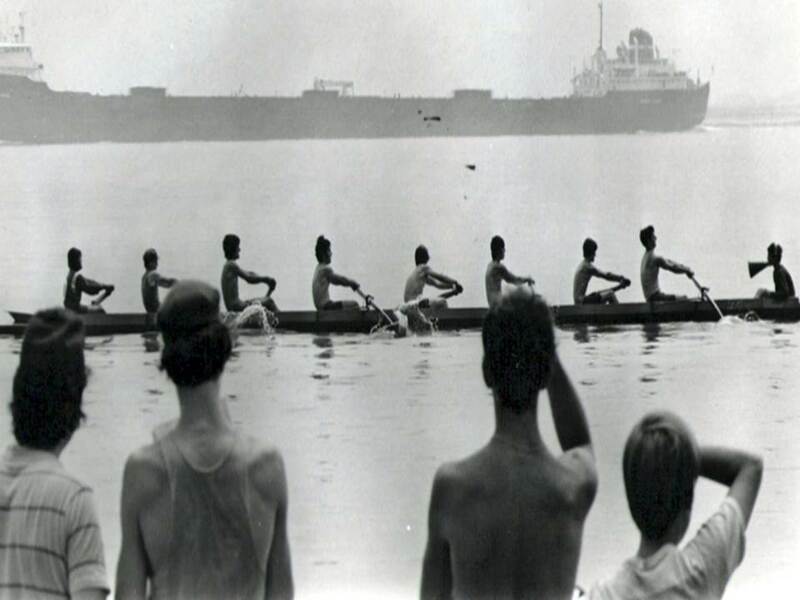 A device locked the swinging seats in position and prevented them from rolling, in case rowing was necessary. An ingeniously arranged light pole could be hoisted and attached so that it was always upright no matter how the ship rolled in the waves. Cruises Across Lake MichiganIn November 1901, Captain Mayo and his crew sailed across Lake Michigan from Muskego to Chicago in rough weather. They arrived safely in Chicago. The New York Times of December 1,901, reported on the Mayo Lifeboat’s return trip and noted that the boat landed at Grand Haven on December 2, 1901 in spite of the towering waves. A Factory in ToledoOn June 14, 1904, the steamship General Slocum sank in New York’s East River and 1,021 people died. President Theodore Roosevelt called a special meeting of the board of supervising inspectors of steamships to find means of preventing another such disaster. He recommended the Mayo lifeboat and the steamship inspectors approved its manufacture. Virginia Press, First Edition, 2003.